You know that “duh” feeling you get when you see a new invention or new product advertised on TV and you ask yourself why didn’t I think of that? You shake your head and think if I had, I’d be rich today. It could be worse. You could be watching TV and see a new invention or new product advertised and get a sinking feeling in your gut because you thought of that exact idea years ago. Unfortunately, it never occurred to you to take that idea and run with it—produce it and market it—and maybe get rich. So you palm slap your forehead and sulk because someone stole your inspired idea and your potential millions. 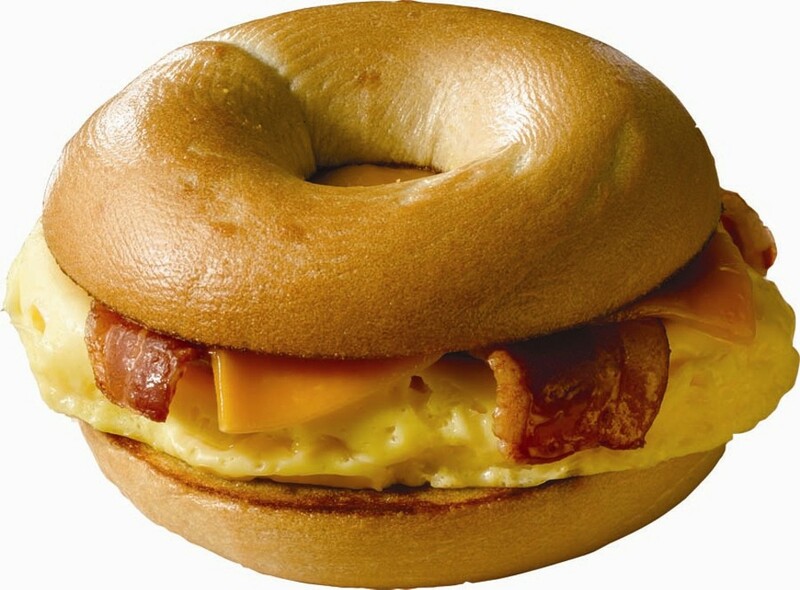 I experience that sinking feeling every time I eat a breakfast sandwich or see one advertised on a billboard or TV. It doesn’t matter if it is a McDonald’s Egg McMuffin, or a Hardee’s breakfast biscuit, or whatever handy-dandy breakfast sandwich other restaurants serve. I look at them and their popularity, and I feel as if my dad and I were robbed. Why robbed, you may ask? I’ll tell you why. My dad invented and perfected the breakfast sandwich many, many years ago. Really. Seriously. Absolutely. When my Baby Sister and I were growing up, weekend mornings were special because we got to have breakfast with our dad. During the week, Dad was up and off to work before Baby Sister and I awoke to get ready for school. On weekends, he was there when we awoke, and he cooked our breakfast in grand style. Dad set out platters of the sandwich ingredients on the dining room table and the sandwich assembling began. We had the choice of a hard roll, onion roll, or bagel. Dad cut our choice of roll or bagel in two, slathered them with real butter, piled one half with fluffy scrambled eggs and crisp bacon, and topped it with the other half. That first mouthwatering bite was so heavenly. 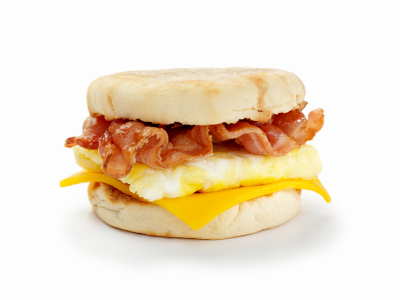 The breakfast sandwiches at today’s fast food restaurants are but pale imitations of Dad’s homemade masterpieces. The apple didn’t fall far from the tree. I was every bit as inventive as Dad. I created the Egg McMuffin before it existed. You doubt me? O ye of little faith. Read on and believe. I’d become nauseated if I ate breakfast before riding the bus and subway to work, so I chose to get to the office before everyone else, put on my makeup, and have breakfast at my desk. Once I arrived, I called a local cafe and ordered breakfast to be delivered. I then went into the ladies lounge to apply my makeup. I was back at my desk when my breakfast order arrived: coffee, orange juice, a hard cooked egg, two strips of bacon, and a buttered English muffin. I sliced the egg and layered the egg slices and the bacon strips between the muffin halves and voila—my very own Egg McMuffin, ahead of its time. It never dawned on Dad or me that our brilliant breakfast concoctions would be huge moneymakers some day. Opportunity knocked and we did not answer the door. Others did, appropriating our brilliant ideas and future millions, and became filthy rich instead of us. So, why am I not rich? Sadly, the answer is obvious and succinct. Yep. Mine was the idea of a big-budget movie using “Superman.” Never happened, of course. But then Chris Reeve and company came along and kicked off the every-other-movie today being based on a comic book. You were a visionary, Paul. 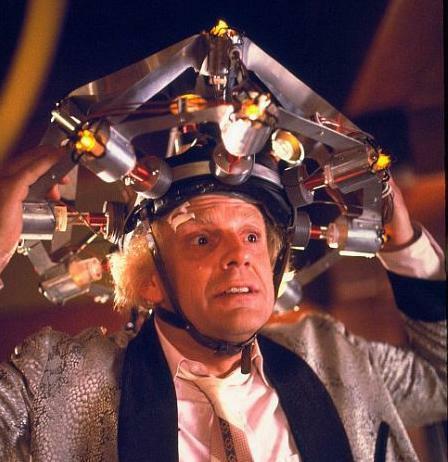 Your brilliant idea was way ahead of its time. Other than you way back when, who would have predicted movies based on comic books would become box office blockbusters? I make a pretty good breakfast sandwich myself, and it saves a trip to McDonald’s. But darn, now you’ve made me hungry! When I wrote this post, I made myself hungry too. I’m sorry. I hate that you had the idea and it didn’t come to fruition. 🙁 Next time, don’t waste time! Thanks, Melissa. I’m waiting for the light bulb to turn on again with another brilliant idea.